What’s brewing at the Cape Beanery? 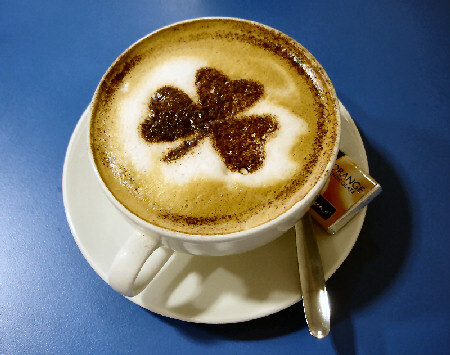 St. Patricks day is right around the corner which means its time for the return of our annual favorite the Shamrock coffee. With are special blend of beans and a little something extra this is the best cup of “Irish” coffee you can find that doesn’t have whiskey in it. Be sure to pick up a cup and be on the look out for all our other specials and remember a regular cup of coffee is only 99 cents at the Beanery.